Have you thought what they do to milk to make it so cheap? 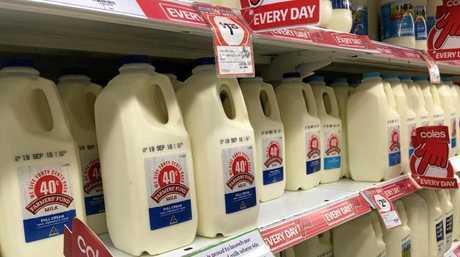 WHAT a big deal by the supermarkets raising the price of milk by 10 cents a litre. The supermarkets are not paying the 10 cents, the general public is paying the 10 cents. I buy and use Cooloola Homogenised Pasteurised Jersey full cream milk. I am prepared to pay for quality at $4.20 for two litres. Have you thought what they may do to the milk to make it so cheap? Ten cents a litre for milk, have a look at some of the junk coming through the checkout. Petrol can jump 10 or 20 cents a litre overnight and we put 40 or 50 or 60 litres into our car. Carton of beer around $55 a carton. What do you pay for a litre of water? May not be happy with town water but you must admit the price is right. Governments today are all for deregulation, except for their wages and retirement benefits. Perhaps we should tender for politicians with the lowest tender winning. LETTER: I am prepared to pay for quality at $4.20 for two litres. 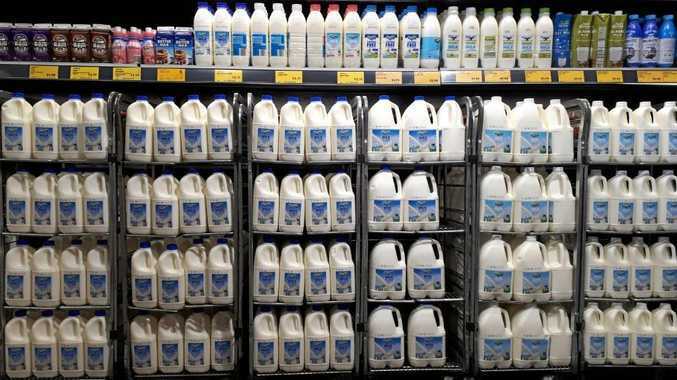 Have you thought what they may do to the milk to make it so cheap? FREEDOM of speech is very much to the fore at the moment - applicable to all and I say that reservedly. I believe it depends on who says it. I was listening to ABC Broadcast and a Liberal member said, "We will not listen to her - we will turn our backs on her.” That was her first appearance and she has been derided ever since in one way or another. The "fish and chip woman”, Pauline Hanson, made an honest living by selling fish and chips. But evidently some of our esteemed parliamentarians consider it a very lonely way of earning a living and delight in referring to her as such. I AM not talking about taking up arms against each other, which would be impossible considering the government has taken guns away. Instead we are in a war of the left wing of politics against the right wing. We have always had the left against the right but now we have extremes, the middle area is getting wider and wider. I believe the middle area is the area I call the middle road of common sense. The problem is that politics has become big business, it's about big money. Each political party is after your support, because it is all about control, power and money. These people are not doing it for the love of it or to be servants of the people. Politics has become a profession. This was never the way politics was in the beginning, nor should it be today. I see extremes now on both sides of politics. Unfortunately, politics is like a pendulum and the ball has gone too far down the left side for too long and now we are seeing the extreme down the other right side. I have already voiced my concern with the extreme left and what would happen if unchecked. I have also voiced my concern for the extreme right and what would take place if left unchecked. I have immense concerns with Fraser Anning's comments following the Christchurch massacres. Using the bible and misapplying verses to push his own agenda and views is very deceptive and dangerous for all Australians. Fraser Anning has used the Christian symbol of the cross on his Facebook page - again, this is very misleading and gives a distorted message of true Christianity. Waleed Aly spoke on behalf of the modern Muslim community, speaking of peace and Australians uniting as one against terrorism. I would also like to say on behalf of true Christianity that this is what we want to see. We should all be about peace, tolerance, accepting and loving one another in our quest for peace and security. We should be against all forms of terror that brings death to the innocent. As a candidate in the next federal election I have no interest in trying to win the extreme left or extreme right. Instead, my aim is to give a voice to those who are wanting to walk on middle ground and get back to the basics of treating one another the way we want to be treated, doing good to our fellow person and using the God-given common sense that we were all born with. I believe this is the Aussie spirit and what defines us as Australians. IN NOVEMBER I was shocked at the low levels of dams in the Snowy Mountains. As much as I like the idea in principle, having seen that, I'm wondering about the wisdom of heading too singularly towards pumped hydro for energy storage. When the cost of transmission upgrades are added to the build cost of the Snowy 2.0 system and considering the lead time involved, could we be signing up to a huge expense that may not work for very long if climate change keeps accelerating as it seems to be? I read somewhere there's 20,000 possible pumped hydro sites in Oz and can't help wondering, considering the demonstrated increase in erratic weather, if a lot of smaller and quicker-to-build systems wouldn't beat putting so many eggs in one basket? I can't see how an elevated body of water such as Borumba Dam wouldn't be one of the apparent 20,000 possible sites and being so close to Southeast Queensland and a population expected to grow by 1.9 to two million people, it's unlikely it won't eventually be part of power supplies. Planning for it sooner rather than later, before more people would need to be displaced, would be a sensible approach. Nothing's going to happen in a hurry but that applies to any new generation build, none of which are cheap but some cost more than others to feed and run. Coal is becoming one of the more expensive generation methods. No sensible person thinks that coal generation is going to disappear overnight but it - and coal exports - are looking to have a limited long-term future. I know our MP, Llew O'Brien, is strong on preserving coal as an industry. I know some are employed in the industry who are based in Gympie. I understand the importance of it to a lot of people and to the government coffers. I can't understand, bearing in mind all that's happening with the drought, flood, increasingly nasty storms, fires, dry rivers, dead fish and dead reef, how there can remain climate change deniers who at a minimum can't see the opportunities transition and change offers, even if only as insurance, in case they're wrong. I was never smart enough to be a climate scientist but I'm smart enough to listen to them. I'll never be a denier but I hear them too. To me the problem is deniers simply don't bother to listen to the scientists - properly - and when they do, as is occurring in many rural areas, mainly south of here, they often change their minds. IT IS a trait of most people to embrace what we know to feel secure and to remain guarded from what we do not know. Before our ability to see the microscopic, we vilified what we believed to be true at the time for ailments that afflicted us, blaming disease on everything from poisonous vapours to divine retribution. But as our minds were opened to the existence of germs and bacteria, these previous enemies to our well-being fell away. 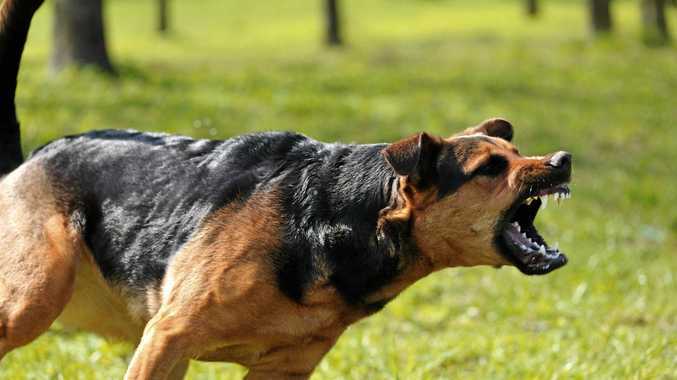 We have always mistrusted and feared that which we cannot readily understand and this shared emotion of apprehension within a culture is the sandpit of extremists. In this sandpit of common concern, extremists do not attempt to unravel the unfamiliar, they merely malign the question - they are not seeking an answer, for they have no tolerance. The similarity between humans is that we are all uniquely different, even within our own cultures. In this digital age, where a person does not need to travel the world to learn about how others live, we can educate ourselves. We can unmask our fears and remove the ability of extremists to manipulate our thoughts. Live and let live. THE terror seen on the faces of innocent children and other members of a toxic community situation - whether it be bombs or bullets causing it - must surely start to influence politicians, law makers and everyone else who decides how to run our world. It is very graphic on our media faces. The law has to stop making excuses for criminals of any sort and people have to be responsible for their actions. I often hear people say we should go back to "an eye for an eye”. They are sick to death with the law. Everyone from drink-drivers to murderers suddenly find "mental illness” the reason for their unlawful behaviour. It makes it hard for people with a real mental illness if the community associates mental illness with crime. Whether it be in wartime, terror attacks or community crime, we must try to stop it. If we are to keep multiculturalism as our lifestyle, we have to put a stop to this black/white thing, our hatred of all things and people who are different. And it is not only white people who have to do this. We are surrounded by power and greed, which result in frustrated communities. Some media devices spew out violent programs for adults and children, which makes them think that is the normal way to go. Being an Australian is an honour so we should act accordingly and be proud of who we are. Our role in life is to create a normal life for our kids. I AM writing to encourage community members to lace up and participate in the 2019 Gympie Relay for Life. One person is diagnosed with cancer every 20 minutes in Queensland - these people are our family members, friends and our colleagues. Gympie Relay for Life is an inspiring event organised by passionate local volunteers, which brings the community together to celebrate survivors, recognise carers and raise vital funds to support Cancer Council Queensland's work. This year, Gympie Relay for Life will be held on October 26-27 at Gympie Soccer Fields from 2pm. At the event, teams of 10-15 people will commit to having at least one person moving around the track at any one time for 18 hours. Every step our Relayers take helps to ensure locals diagnosed with cancer have access to adequate support, care and the latest cancer treatments. It'll be a weekend to remember - with entertainment, inspirational ceremonies and team challenges. This year we hope to raise more than $80,000 for the cause - but we need your help. Register a team today at www.relayforlife.org.au or by phoning 1300 65 65 85. This is your chance to give hope for a cancer-free future.